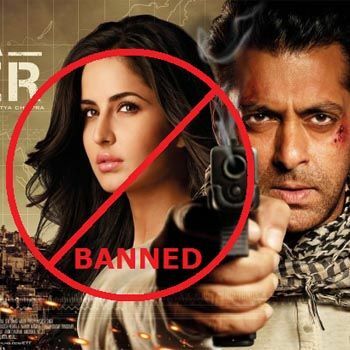 Salman Khan’s upcoming film ‘Ek Tha Tiger’ is facing severe criticism by Pakistani government who recently called a ban on film as well as on its promos. All Pakistani satellite TV channels received a letter from PEMRA stating that ‘Ek Tha Tiger’ is based on the activities of ISI and RAW and portrays ISI in a bad way thus must not be released in Pakistan. He also clarified on twitter, “I will say it once more… ? EkThaTiger? is NOT anti Pakistan…(sic)”. Salman Khan has a great fan following in Pakistan. Let’s wait and see either his ‘Ek Tha Tiger’ will have a ban or gets released in Pakistan in August, 2012.